Pam Friedman, CFP®, CDFA®, has nearly 30 years of financial planning and investment experience. Prior to founding Divorce Planning of Austin and co-founding Silicon Hills Wealth Management, Ms. Friedman was on Wall Street in both New York and London structuring and raising capital for both public and private companies. Upon her return to Texas, Ms. Friedman spent six years on the faculty of the Finance Department in the McCombs School of Business at The University of Texas at Austin. As a financial planner and analyst, Ms. Friedman educates clients who may be unfamiliar with financial issues and investing, particularly during and after divorce. In her book “I Now Pronounce You Financially Fit: How to Protect Your Money in Marriage and Divorce” and in her online course The Financially Fit Divorce, Ms. Friedman uses stories from her practice to explain how to plan for the risk of divorce and what can go wrong when you don’t. In divorce, Ms. Friedman assists men and women in identifying all the assets of the marriage, including those that potentially may be hidden or under reported. She also provides detailed budgets and projections that demonstrate how different financial settlements will impact the client’s family for the short and long term. Lastly, Ms. Friedman helps ensure that other financial areas are addressed such as life insurance, beneficiaries, estate and college planning. Ms. Friedman has been featured in national publications and on- air with New York Times, NY Daily News, Elle Magazine, U.S. News and World Report, Self Magazine, Estate Planning Magazine, ABC News Radio, Daily Finance (AOL), and the Divorce Financial Analyst Journal. She is a founding member of The Center for Integrated Divorce, an Austin, Texas based network of mediators and other consultative professionals in divorce. 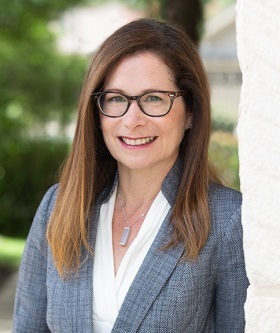 Ms. Friedman is a trained family law mediator, a trained financial neutral for collaborative divorce cases, and a member of Collaborative Divorce Texas. Ms. Friedman earned the designation CERTIFIED FINANCIAL PLANNER™ (CFP®) in 2006 and Certified Divorce Financial Analyst® (CDFA®) in 2011. Pam holds an MBA, BBA and BA in Finance and Economics from The University of Texas at Austin. CDFA® professionals help clients determine the short-term and long-term financial impact of any proposed divorce settlement. They also provide valuable information on financial issues that are related to the divorce, such as tax consequences, dividing pension plans, continued health care coverage, stock option elections and much more. CDFA® professionals assist attorneys by helping the client make financial sense of proposals. CDFA® professionals do not give legal advice, but they provide lawyers with the tools they need to help prove their case. See www.institutedfa.com for more information. CFP®, CERTIFIED FINANCIAL PLANNER™ are certification marks owned by Certified Financial Planner Board of Standards Inc. (CFP Board), which can help you identify financial planners who are committed to competent and ethical behavior when providing financial planning. Individuals certified by CFP Board have taken the extra step to demonstrate their professionalism by voluntarily submitting to the rigorous CFP® certification process that includes demanding education, examination, experience and ethical requirements. These standards are called “the four Es,” and they are four important reasons why the financial planning practitioner you select should display the CFP® certification marks. See www.cfp.net for more information.